Whether you’re just getting into creating your own cheese boards or are a self-proclaimed expert, we could all use some brushing up on the best practices to cut and prepare cheese for your next party. When both buying and cutting cheese, a good rule of thumb is to account for one to two ounces of cheese per guest. Additionally, it is always easiest to cut cheese cold—so be sure to keep it in your refrigerator until just before you are ready to begin prep. Once you’re ready, grab your cheese and unwrap it on the cutting surface. Be sure not to leave it unwrapped for too long because the cheese will eventually dry out before you and your guests have a chance to properly enjoy it. Whether you’re planning to let your guests cut their own cheese from a wedge or cut it in advance for them, a good knife is essential to the process. We outline the best cheese knifes for different cheeses in our other blog post here. However, if you’re going to serve cheese pre-cut for your guests, a chef’s knife is a reliable choice. Just make sure to clean the knife after each cheese if you’re using it to cut multiple cheeses. The options here are limitless. Besides allowing people to cut a cheese on their own, there are plenty of creative ways to cut cheese. With cheese slices and cubes typically the first options that people gravitate to. However, cutting cheese into triangles can be a fun and visually appealing way cut most cheeses as well. Meanwhile, soft cheeses should typically be left for people to cut on their own by putting out an appropriate size wedge. Don’t forget to re-wrap any unused cheese and return it to the refrigerator to make sure it doesn’t dry out. Additionally, when cheese served cold it tends to have a different texture and taste than it is supposed to. So make sure to let your cheese warm to room temperature before serving. That way you and your guests can enjoy the cheese and all the wonderful flavors it has to share. 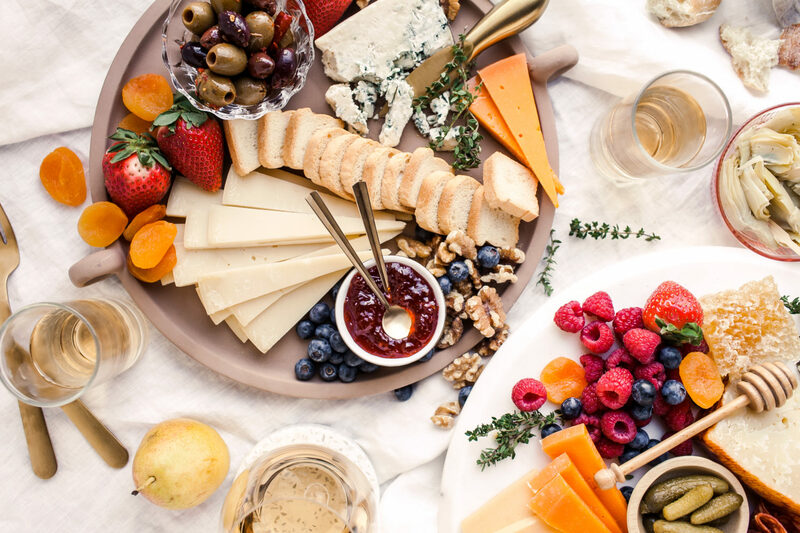 Hopefully, these quick tips will make your cheese board and party planning experience even smoother and your guests’ cheese experience even more fantastic!